Retrievers are easily the most popular of the sporting breeds of dogs in the USA. They are highly valued for their willingness to please, intelligence, and obedience. 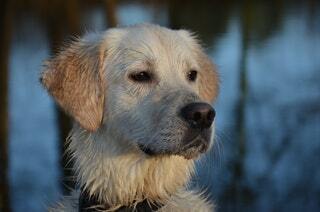 The characteristics of the Retriever make them indispensable to waterfowl hunters. Their inherent love of water makes them the ideal dog for retrieving shot birds and upland game, and they known for their “soft mouths”, enabling them to retrieve without damaging the game. They are the best known duck hunting dogs. Retrievers are highly athletic and well-balanced dogs, able to withstand extreme weather conditions, as well as the physical hazards of the brush. The special density and hair type of their coat that allows them to repel water, and their seemingly limitless energy enables them to quickly adapt to working in both the water and on land. They have webbed feet that propels them powerfully through water. Retriever breeds are highly trainable, with an ability to respond to training pressure without loosing interest in their job. Retrievers are problems solvers, willing to work through a situation in order to complete their task. In addition to their excellent hunting skills, the versatility and personality of the Labrador and Golden Retrievers has made these breeds of dogs the most common type of family dog, with their friendly and reliable temperament earning them high praise with children and families. These breeds of dogs are easy going, and capable of adapting to different living and family situations. This adaptability and acceptance of the unknown has made the Retriever indispensable for use as guide and service dogs. Incredibly athletic, and dedicated to whatever the job at hand may be, Pointers are the forward scouts of a hunting team, identifying game and allowing for the hunt to proceed. Pointers exude grace and nobility, and combine their powerful physical prowess with courage, intelligence and desire. Selectively bred and renowned for their ability to find a scent, these breeds of dogs will seek out their game rapidly, freezing into position and “pointing” a short distance away to allow the hunter to get into position. Particularly valuable when hunting upland game, the intelligence and good work ethic of the pointer makes them easily adaptable to other types of game as well. Some of the pointer breeds are all-purpose or versatile in their abilities to point, retrieve, or track. These sporting breeds of dogs work on land and in water giving the hunter a variety of opportunities. Despite their enthusiasm and devotion to their hunting work, Pointers are also good family dogs, and they show incredible commitment and loyalty to their families. Even-tempered and well mannered, these breeds of dogs will gladly co-exist with other dogs, cats and children, exemplifying their innate adaptability. In addition to their value as hunting and family dogs, their high level of intelligence makes them an idea partner in field trials, agility and obedience work. Adequate exercise is necessary for even a non-working pointer and will keep these types of dogs happy and healthy. The smallest types of hunting breeds of dogs, Spaniels, are also extremely versatile. Endowed with intelligence, affection, obedience, and especially beauty, Spaniels have found immense popularity in both the hunting world, as well as a valued member of the family. 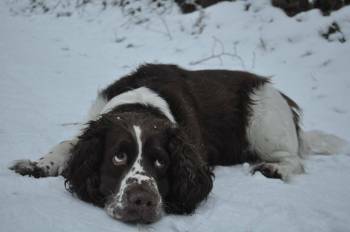 The Spaniel was bred to be the ideal hunting companion. While the Pointers work at a distance, Spaniels work close to the hunter, allowing them to follow closely on foot. The Spaniels’ job in the hunt is two-fold. As they approach game, they crouch down and sneak up on their prey, flushing them out of hiding places and into the open air. Once the game has been shot, the Spaniels retrieve their fallen game. Spaniels are also bred for a soft mouth, to avoid damaging the prey. Their thick coats and small size allow them to get into areas of thick bush easier and without harm. Traditionally used for hunting upland game birds, they are equally proficient with rabbit and waterfowl. They are well suited to all terrain, able to perform well in open field, woodland and marshland alike. The enthusiastic and highly affectionate Spaniel breeds are willing to learn and easy to train, making them valuable for use in the field and well as for family companions. Many of the Spaniel breeds, such as the Cocker Spaniel and English Springer Spaniels have become beloved staples in family households. 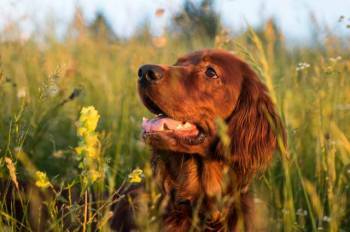 The Setter Breeds have been refined through careful breeding to combine the best features of both the Pointer and Spaniel types of dogs. The result is an athletic and motivated hunting partner, as well as being an elegant and beautiful companion in all situations. 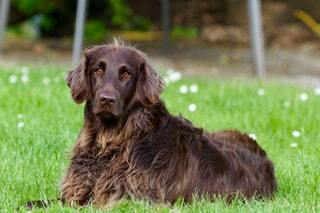 The Setter Breeds are one of the oldest types of gun dogs, with a history dating to the 14th century. The regal Setter breeds possess an innate instinct for scenting and flushing hunting game such as quail, pheasant and grouse. The Setters search for their game quietly, relying on their keen sense of smell. Rather than chase after the game, the Setter defies natural instincts and freezes and waits, allowing the hunter to step in and take the prey. Their distinctive “crouch” or “set” when they find their prey earned them the Setter name, and includes the Irish, English and Gordon Setters. Well-balanced and athletic, the Setters are grace personified, and their flowing coats help give them the illusion of floating across the landscape as they move rapidly towards their target. Their athleticism makes them an ideal companion over large amounts of terrain, but in companion life they require devotion to regular exercise to maintain their health and mental well-being. Setters are ideal for families able to give them the necessary attention and activity they crave, and their intelligence and sensitive nature makes them adaptable dogs, suitable for both hunting and the home. These breeds of dogs are highly tolerant with young children, and are especially suitable to be a companion for active children and adults seeking a partner in their adventures. Here you will find all breed descriptions.